Every year, the cost of living index goes up – so why not your rent? Well, it sometimes will upon the renewing of your lease. Annual lease agreements are seldom written with rent increases built in – so once you enter into a lease, you’re protected for 12 months or whatever the term may be. The problem comes when you try to renew. Landlords (in most instances) have the right to charge a modest increase each year. But whether or not the rental market will be able to bear such an increase is another issue. As with anything, rental amounts are based upon the basic law of supply and demand, as seen on everyday retail store shelves. So unless there is a significant demand for places to rent because the vacancies are low, you’ll probably be able to renew without being charged more. 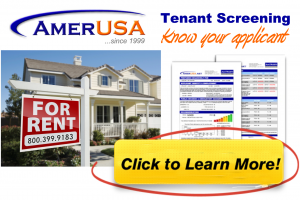 Try to avoid agreeing to any rent increase that may occur during the term of your lease. This is best left to be negotiated at the end of your lease if you’ve been given the option to renew. Even better would be to stipulate that you have the right to renew the lease at the same amount of rent – so an increase from the landlord isn’t even possible. Unless your local government offers a rent adjustment program, you live in a rent control area (as discussed in the next section) or you reside under the protection of the Department of Housing and Urban Development’s (HUD) Section 8 housing assistance program, a landlord can increase your rent to whatever they choose. However, unless the landlord is just not happy with your tenancy, they seldom try to push the rent up to an extraordinary amount. The basic logic applies: If it’s not broken, don’t fix it! Landlords will usually welcome a tenant back and for the same amount of rent. Many landlords have never implemented an increase for five or more years for the same tenant. Since rent increases are regulated by local governments, you should contact your city or county housing departments to inquire about any municipal codes or laws that may be in effect to protect you. Although you’d think your landlord would be aware of what they can or can’t do, there are quite a few out there that are ignorant when it comes to the rules and regulations.